Blushers. I find that blushers, in general, a lot more versatile to work with. You can either use a very pink or peachy shade to give you a natural looking flush or rosy glow, or you can use a darker shade as an easy and more subtle alternative to a bronzer. I'm especially a fan of cream blushers, cheek stains, or blushers with a hint of shimmer to them since my cheeks tend to be quite dry. Lipgloss. If you've been a reader of my blog for some time now you'll know I've mentioned more than once already my problem with my lips which is that they tend to get dry. I love how lip glosses can help conceal that, and by choosing the right one, not only color my lips beautifully but make them appear fuller and hydrated. I do have a special love for lipsticks as well, it's just that it takes a good deal of hunting down to find one that's both long-lasting and doesn't dry out my lips further! Lip glosses are much easier to apply and retouch whereas lipsticks, particularly darker shades such as red or plum, need a good deal of precision if you don't want to end up looking like you have misshapen lips. Lip butter. I find lip butters just as amazing and easy to use as lip glosses, and I tend to reach for these instead of lipsticks unless I'm going to a fancy party or event. Not only can they be just as pigmented as lipsticks themselves, but they also moisturize my lips wonderfully. 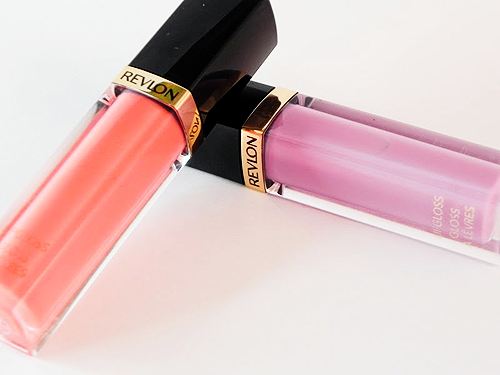 Revlon's lip butter line is to die for and I'm in the midst of collecting as many shades as possible! Of course more pigmented shades will probably mean the need for a lip liner if you want to be precise, as I tend to be the darker or more bold the shade, but unlike a lot of lipsticks I love how they just glide on so smoothly. Lip balms are more of an essential and basic product for me so they don't need to be fancy or pigmented/tinted. I tend to apply them only before applying another lip product or just before going to bed so that my lips aren't all cracked and dry when I wake up. 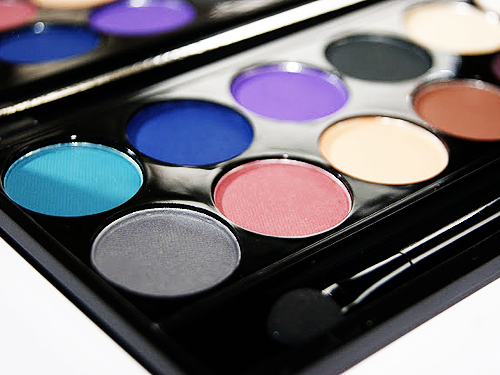 Matte eyeshadow. I always think there's a time and place for very shimmery and sparkly eyeshadows, that's why I tend to stick with matte shades more often since you can rock them at work or at play, whereas sparkly shadows aren't very work or school suitable. Matte eyeshadow is also easier to remove most times since, just like nail polish, glitter residue is harder to get out with sparkle ones. 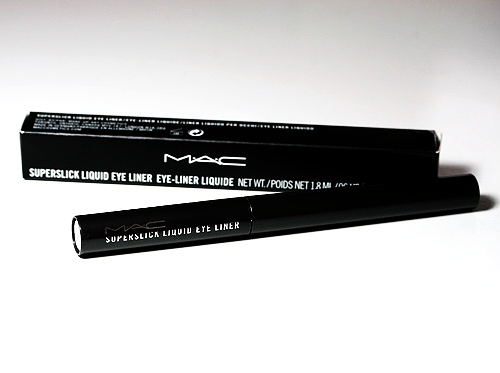 Liquid liner. I have the misfortune of not having very smooth eyelids, meaning there are small bumps and creases on mine that I have to work on and around when applying any kind of liner, which is why I prefer liquid liner best since it just paints and slides right on my lid. With cream, pencil, or even gel liners I find myself having to tug at my eyelid and stretch it out just so I can get an even and consistent line on my lid. I prefer liquid liners with a sharp but soft felt tip or a very thin, soft brush end, and for someone who enjoys a perfect and precise cat eye, then a liquid liner is a must have for me. BB creams. Like my lipsticks, I only ever dig out my foundation when I'm getting ready to attend a big event. Choosing the right one, you can achieve everything from a brighter more even skin tone to having full coverage that hides most of your blemishes and gives you flawless looking skin. Also, in a hot and humid country such as this, BB creams are more practical as they are more lightweight on the skin than foundation. BB creams are also less of a hassle to apply as you can just simply spread it out with your fingers, allowing you a lot of control, as well as making it perfect for rushed crazy mornings when you need to get to work or school. 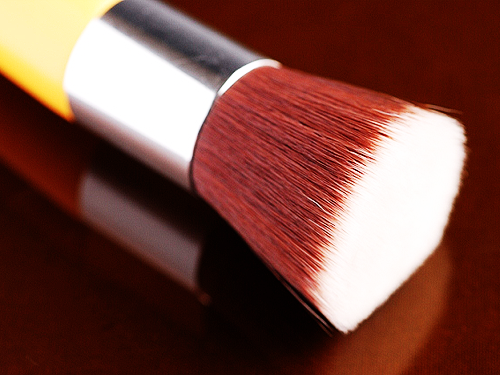 With foundation, I need to either whip out my brush or a sponge and really take my time with it. I currently have four bb cream products right now which I use in an alternating manner, or depending on where I'm heading for the day. 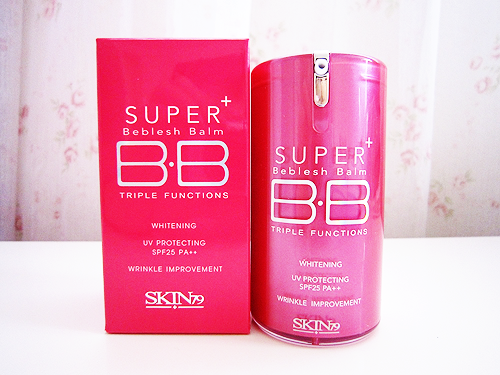 For example, if I know I'll be out under the sun a lot, I'll choose a BB cream with a higher SPF to use. If I'm not having a good skin day, I'll select a BB cream with more or heavier coverage. You could say I'm collecting BB creams like a madwoman! 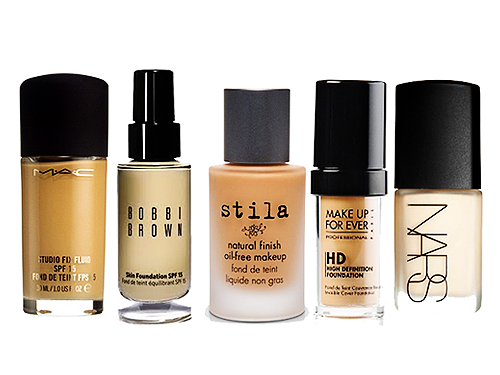 Liquid foundation. Through years of trial and error, shall we say, I've found that liquid foundations suit my skin (type) best as I have combination skin with an oily t-zone and dry everywhere else. Powder foundations, when applied directly on its own and even with a dampened sponge, emphasizes the dry parts of my skin like crazy! It ends up clumping around especially dry areas and looks like it's flaking off. Thus, the kind of foundation I like best is one that's preferably long-lasting, oil-free, offers medium to heavy coverage, and with a semi-dewey or matte finish. The shade that suits me perfectly, so much so that I don't even have to blend down past my jaw line that much, is #3 Beige from Bobbi Brown and NC25 from MAC. Neutral eyes. A neutral look for the eyes never fails and works for almost every occasion and is a look I opt for everyday with an added liquid liner on my top lip to define my eyes a bit more. 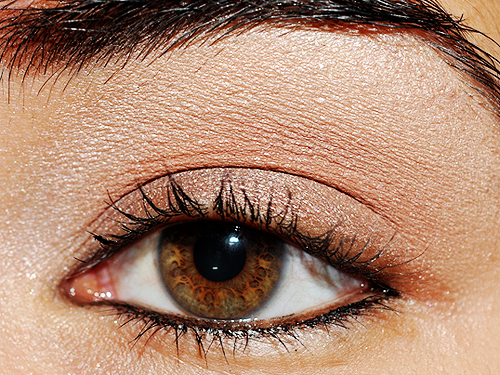 Sometimes I'll intensify my neutral look by making it a bit more smokey and using darker browns and plum shades. But once in a while, especially for parties, I do like to play around and use brighter, more playful or edgier colors such as bright pinks and purples or intense greys and black. Pressed shadows. There are two specific reasons why I prefer pressed shadows the most. The first being that I wouldn't dream of toting around any loose eyeshadows with me for fear of it spilling open and everywhere in my bag, no matter how careful I am! I also find them quite messy to deal with most times and even professional MUAs will have complained about the exact same thing at one point in time. 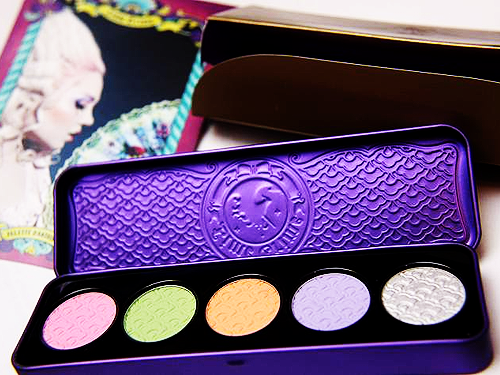 If you can get a lot of fallout from pressed eyeshadows, imagine how much more you'll get with loose ones! Besides, I don't see a huge difference between pressed or loose as both can be intensified or made subtle, for example, and it all comes down to the technique when applying either. Waterproof. With the climate here as constantly hot and humid, waterproof makeup is pretty much a must, especially eye makeup! The last thing I want is my foundation/BB cream melting off and exposing blemishes, as well as my eye makeup, such as my mascara, smearing and making me look like a crazy raccoon lady. My eyes also tend to get quite watery sometimes, especially when my allergies flare up, so I need eyeliner (pencil or gel which I apply to my water line) that'll stand a few hours of faux tears. Of course a known downside is that waterproof makeup tends to be more difficult to remove, but I still don't see the advantage of ever using non-waterproof over it! Brushes and fingers. As I mentioned earlier, I use either depending on what product I'm using. Fingers I use, and find much easier to work with and spread, when it comes to BB cream whereas I try to apply my foundation flawlessly and use a brush instead. Although I do eventually have to reach for a brush when it comes to setting my BB cream with powder! For eyeshadows, I also use different kinds of brushes. I have a confession to make though...you know those small sponge tip applicators that come with eyeshadow quads or duos many makeup gurus and professionals tend to chuck away? I like using them! I find that if they're of decent quality, they're great at applying the base color of your eyeshadow and I even use it for the crease or lash line colors which I just blend with another and more proper brush. I even have a separate bulk pack of sponge tip applicators to use always whenever the one that comes with the makeup is longer usable! 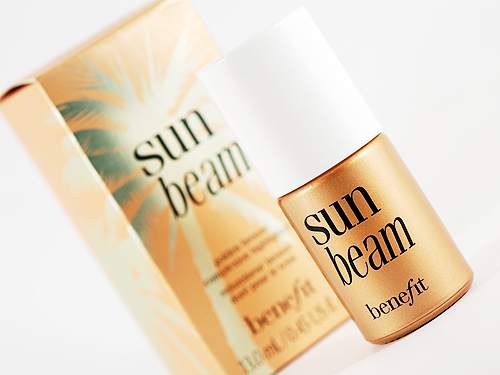 Liquid highlighter. Thanks to my already dry cheeks, I prefer liquid highlighters the most and I find they tend to look the most natural, along with with cream highlighters. I apply it sparingly to my t-zone because I'm already oily enough as it is there, but still want to slim down my nose a little despite it! Liquid highlighters are also great to blend if you use the proper technique of dotting it along where you want it, just above your cheekbones for example, and blending from there. 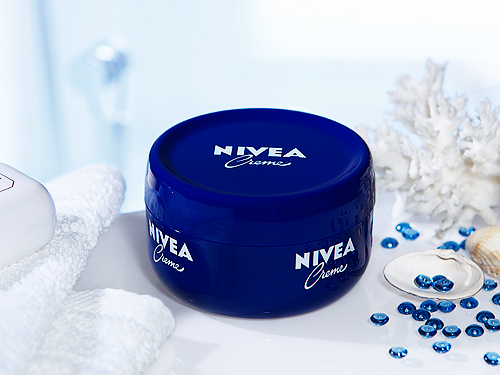 Nivea Creme. My mom always had a tub of this in her room and I always wondered what was so special about it aside from it being a cream moisturizer. I knew Nivea was a good and trusted brand as I had used a variety of Nivea face cleansers before, but for years I never bothered trying out or even asking about this product. Finally, starting about a couple of years ago, I purchased a small tin for myself on a whim and now I apply it every night without fail! Aside from my cheeks, I also tend to get dry around the bottom edges of my nose and sometimes the skin gets so dry they become flaky. Not a pleasant sight! Whatever moisturizer I used, it either didn't work well enough to battle the dryness or didn't do so for a very long time. But ever since I paired this product with my day cream (Olay Total Effects Day Cream with SPF15), my spells of extreme dryness haven't returned! This is much too heavy to use for day though as it makes your skin really slick and oily and takes hours, at least one or two, to absorb into the skin so it's best to only apply at night just before bed. However, I love that it's a multi-purpose product too! If you've got say dry elbows or knees, this does wonders for it. 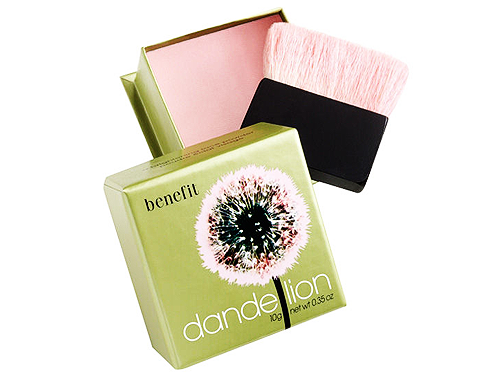 Dandelion from Benefit. 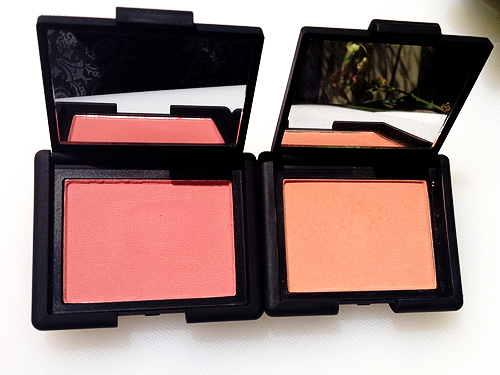 In truth I don't have a favorite blush in particular. I'm still trying out new ones from different brands, both high end and drug store priced, and hoping to find my HG of blushes soon! However, Benefit's "Dandelion" is definitely one of the better ones I've owned! Lasting power isn't anything special, but I love how it has a fair amount of shimmer to it and isn't too pink (it's actually a little bit darker in real life, compared to the picture) since I like more natural looking blusher shades with reddish or peachy hues. It's not travel-friendly either as you can't just pop it into your bag unless you want the loose cover to come off and have pink powder all over your things, but I still recommend this blusher nonetheless! 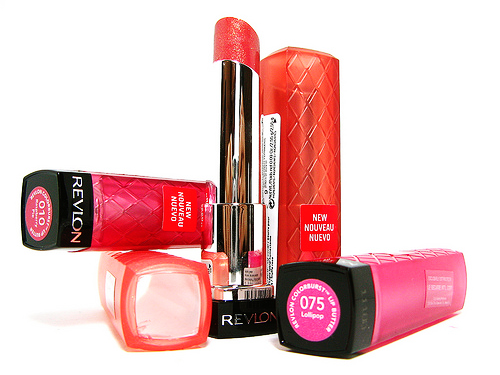 Lipgloss, lip stain or lip butter. One of the things I love is how you can create the illusion of a made up face with just a pigmented lip product! Of course you can't completely pull off looking like you applied a full face of foundation and everything, but somehow rocking a nice lip can make one look very put together, especially if you're already blessed with amazing skin that doesn't need much covering up and concealing in the first place! This is why pigmented glosses, lip butters, or stains are what I go for on those days when I have very little time to put on any foundation or BB cream properly and am only able to place on some powder and a lip product of choice. The fact that they're quicker in general to apply too, if you're working with light to medium shades at least, makes the whole process of getting ready easier! My dry lips are also thankful for glosses, etc. since they're saved from drying out further or being kept looking dehydrated! Hope you all liked this entry! Until next time. I loved reading this post! It was so interesting to read about your this or that beauty moments! Thanks for tagging me, Arian. I will do this once when I have the time. ;) The holiday rush drove me crazy, and I'm going back to blogging mode soon. I love this entry! Very detailed and comprehensive :) It was a great read! hey, just want to say happy new year! I just followed you dear. I hope you can check my blog and follow me back, too.